Under the law of United Kingdom, a copyright is an intangible property right subsisting in certain qualifying subject-matter. Copyright law is governed by the Copyright, Designs and Patents Act 1988 (the 1988 Act), as amended from time to time. As a result of increasing legal integration and harmonisation throughout the European Union a complete picture of the law can only be acquired through recourse to EU jurisprudence. The modern concept of copyright originated in England, in the year 1710, with the Statute of Anne. Under the Statute of Anne (1710), copyright term lasted 14 years plus an optional renewal of 14 additional years. Copyright law is now governed by the Copyright, Designs and Patents Act 1988. The Act came into force on 1 August 1989, save for some minor provisions. Various amendments have been made to the original statute, mostly originating from European Union directives and related case law. Subsistence: Does copyright subsist in the proposed subject-matter? Ownership: Is the claimant the owner of the copyright? If so, is the claimant a sole or a joint owner? Incidents of ownership: What rights flow from ownership? What is the term of the owner's monopoly? Infringement: Has there been primary or secondary infringement? Primary infringement: Has the defendant committed (or authorised another to commit) a 'restricted act' without the consent of the owner? Secondary infringement: Has the defendant committed an act amounting to secondary infringement; for example, possessed or sold an infringing article in the course of business? Defences: Does the defendant have a defence? Remedies: What is the appropriate remedy for the infringement? Copyright arises automatically, without the need for registration. As the law currently stands, the United Kingdom has a closed-list system: copyright only subsists in certain enumerated subject-matter. The eight classes of subject-matter are listed in section 1(1) of the Act. It is a fundamental principle of copyright law that copyright subsists in the expression of an idea, not in an idea itself. For copyright to subsist in these works, the work itself must be 'original'. This is traditionally seen as requiring that the author exercised skill, labour and judgment in its production. Three of these works are also subject to a fixation requirement: a literary, dramatic, or musical work must be recorded. It is immaterial if this was done without the author's permission. Copyright in the text of the insert. Cinema films made before 1 June 1957, the date on which the Copyright Act 1956 came into force, are not protected as film. They are either protected as a dramatic work under the Copyright Act 1911 (the 1911 Act) or as a series of photographs. Wireless broadcasts prior to 1 June 1957 are not protected at all. The 1911 Act made no provision for them, as broadcasting had not been invented when the Act was passed. Broadcasts by cable prior to 1 January 1985 are not protected at all either. Both the Acts of 1911 and 1956 made no provision for broadcasts by cable, as they had not been defined and protected as either "works" or "broadcasts" of either Acts. Unless an exception applies, the creator of a work is presumed to be the first owner of any copyright therein. Exceptions include where the work was created in the course of employment, or where the author is an officer or servant of the Crown. If more than one person qualifies as an author then a work is one of joint authorship. Under the 1988 Act, a work of joint authorship is a work "produced by the collaboration of two or more authors in which the contribution of each author is not distinct from that of the other author or authors". Where the work is one of joint authorship, the consent of all copyright holder is required to avoid liability for infringement. Under UK copyright law, an author may assign his copyright rights to another person. It is standard practice for such assignments to be made in book publishing contracts, for example. Where the apparent creator of the work composed it in the course of employment, the employer is treated as the first owner. It is important to distinguish between works which are created whilst one is an employee, and works created whilst one is acting in the course of employment. It is only in the latter case that the exception applies. It is possible for contracts of employment to contain express assignment clauses or to otherwise deal with the ownership of any intellectual property rights created by an employee. The 1911 Act provides that an individual's work is automatically under copyright, by operation of law, as soon as it leaves his/her mind and is embodied in some physical form: be it a novel, a painting, a musical work written in manuscript, or an architectural schematic. This remains the legal position under the Schedules of 1956 Act and of the 1988 Act. Once reduced to physical form, provided it is an original work (in the sense of not having been copied from an existing work), then copyright in it vests automatically in (i.e. is owned by) the author: the person who put the concept into material form. There are exceptions to this rule, depending upon the nature of the work, if it was created in the course of employment. In order to grant copyright protection to computer databases, UK copyright law recognises the element of labour and skill used in compiling them, even though they are not in truth original works (being entirely derived from existing records), applying a principle sometimes called the 'Sweat of the Brow' doctrine; they are also protected by database right (see below). The term 'Unfair Use' is sometimes applied in that context, to refer to the use of a work into which someone has invested a lot of skill and labour, but where little or no originality is present. This is mainly in the case of reproduction photography, or the retouching of artistic works that are out of copyright, or for simple computer databases, such works not being original. A work, other than a broadcast, can qualify for copyright protection in either of two ways: by the nationality of the author, or by the country of first publication. a body incorporated under the law of a part of the United Kingdom, or another country to which the qualification clause extends. in another country to which the qualification clause extends. However, a work made before 1 June 1957 can only qualify for copyright protection by its country of first publication; not by the author's nationality. it is made from another country to which the qualification clause extends. Lists of the countries which trigger qualification are published in Statutory Instruments periodically. They are, in point of fact, those countries which have acceeded to the Berne Copyright Convention. First publication is defined as the first occasion that a work is published anywhere. But if a work is simultaneously published in several countries, all within a 30-day period, each of those countries is treated as the country of first publication. For example, if a work is first published in the United Kingdom, but is published in Canada, Australia and New Zealand within the following 30 days, all those countries are treated under UK law as being the country where the work was first published. This used to be of importance, prior to 1957, for in those days first publication was the only possible way to obtain copyright. It became much less important because of the Copyright Act 1956, which grants copyright in the United Kingdom to any work if the author is a British citizen or is resident in Britain, or is a citizen of (or resident in) a Berne Convention country. Under the Copyright Act 1842 the copyright period lasted for the lifetime of the author plus 7 years, or for 42 years from first publication, whichever was longer. The Copyright Act 1911 provided a longer copyright period, namely the life of the author plus 50 years, for works that were first published after 1 July 1912; thus the date of first publication became irrelevant, provided it was after July 1912. This was retained as the period of copyright under the Copyright Act of 1956 and under the 1988 Act. In 1995 the period of copyright was extended to the life of the author plus 70 years (as described above) for works which were, at that time, still within copyright anywhere within the European Economic Area. One effect of this was to impose a copyright extension of twenty years on all works that were made or published after 1911 by any person who had died after 1945, as the previous copyright period (of lifetime plus 50 years) had not yet expired in the UK for someone who had died in 1945 or later. Prior to the 1956 Act the copyright laws took no account of the author's nationality, only of the country in which publication first occurred. Accordingly, a literary work published before 1 June 1956 had no copyright in the UK unless its first publication was in the UK. This was subject to the rule that first publication could be simultaneous in more than one country; and thus copyright protection in the UK was obtained if publication occurred in the UK within one month of first publication abroad. Nevertheless, literary works by British authors which first saw publication outside the UK prior to 1 June 1956 might have no copyright protection at all in the UK. Some recognition of foreign copyright existed, but varied depending on which country publication had first occurred in. In general, UK law recognised the copyright laws of foreign countries (i.e., non-Commonwealth countries) only if the other country was a party to the Berne Convention for the Protection of Literary and Artistic Works, and to some extent this is still the case today. The term of author's copyright under the Copyright Act 1842 (which protected only printed works) was 42 years from the publication of the work, or the lifetime of the author and 7 years thereafter, whichever was the longer. In the 1911 Act the term of author's copyright was extended to the lifetime of the author and 50 years thereafter; this remained the case under the 1956 Act and the 1988 Act. The 1911 Act in effect extended the meaning of "author" so that this period of copyright applied to all types of works, not merely printed works. Under the 1995 Regulations (set out below), the period of author's copyright was further extended, to the lifetime of the author and 70 years thereafter. Those regulations were retrospective: they extended the copyright period for all works which were then still in copyright, and (controversially) revived the lapsed copyright of all authors who had died in the previous 70 years, i.e. since 1925. Accordingly, copyright in literary, dramatic, musical and artistic works currently expires 70 years from the end of the calendar year of the author's death. Where the work has more than one author, the copyright expires 70 years after the death of the last survivor of them. The publisher's (separate) copyright, in the typographical arrangement of a printed work, lasts for 25 years from the end of the year in which publication occurred. This protects a publisher's copyright in all printed works: including books, magazines, newspapers, and other periodicals. Other works (such as sculpture, architecture, etc.) will typically vary in copyright term, depending whether the author of the work is anonymous. If the author is unknown, the copyright period ends 70 years after the making of the work; or, if during that period the work is communicated to the public, 70 years after that date. If the author of the work is identifiable, copyright in the work expires 70 years after the death of the author. In the case of a motion picture, the period of copyright is determined by the life of the principal director, the author of the screenplay, the author of the dialogue, and the composer of any original music for the film. If that person is not a national of a European Economic Area (EEA) country, and the country of origin is not in the EEA (for example, the United States of America), the period of copyright is that provided by the film's country of origin, if that period is less than the normal period under UK law. If a film does not have any of the four persons mentioned above, the duration of its copyright is 50 years. Computer generated artistic works have a copyright protection of 50 years from creation of the work. As with other such copyrights, if the author is not an EEA national, and the country of origin is not an EEA state, then the duration of the country of origin applies, provided it does not exceed the normal period under UK law. Broadcasts and sound recordings each have a different period of copyright: as detailed in the sections below. Notwithstanding that a work qualifies for copyright protection in the UK, it will not be automatically entitled to the normal period of copyright (as set out above). It may be entitled to only a shorter period of protection. The country of origin, in the case of a broadcast, is the country the transmission originates from; and in the case of other works is the country in which the work was first published. If a work is first published in only one country, which is a party to the Berne Convention, then that is the country of origin. If a work is published simultaneously (i.e. in more than one country, but all within 30 days), and one of the countries is a European Economic Area (EEA) country, then the EEA country is the country of origin (even if another is a Berne Convention country); but if none of them is an EEA country, and one of them is a Berne Convention country, then the Berne Convention country is the country of origin. If two or more Berne Convention countries qualify, and not all of them are in the EEA (such as Canada, the US, or Australia), then the Berne Convention country with the shortest applicable copyright term determines the copyright term within the UK, if it is shorter than the normal term for such a work under UK law. If the country of first publication is not a Berne Convention member, or if the work is unpublished, the copyright term will vary depending on what type of work it is. Where the work is a film, and the maker of the film is headquartered in a Berne Convention country, or is domiciled or resident in a Berne Convention country, then the country of origin is that country. If the work is a work of architecture in a Berne Convention country, or an artistic work incorporated in a building in a Berne Convention country, then the country of origin is that country. Otherwise the country of origin is the country of which the author is a national. Prior to 1 January 1996, the UK's general copyright term was the life of the author plus 50 years. The extension, to the life of the author plus 70 years, was introduced by The Duration of Copyright and Rights in Performances Regulations 1995 (SI 1995/3297), implementing Council Directive No.93/98/EEC, to harmonise the duration of copyright throughout the European Economic Community. It contained a controversial provision, which caused certain copyrights to revive; material which had been out of copyright came back into copyright. If the 1988 Act offered a shorter term of protection than the new Regulations, and if the work was still under copyright on 1 July 1995 anywhere in the EEA, then the copyright of that work was revived. But if the 1988 Act offered a longer term than the new regulations, then the old longer term still applied. The normal practice of British law would have been to freeze the extension, applying it only to new works, rather than reviving expired copyrights. In the United Kingdom, there are two distinct classes of broadcast: those made before and those made after the commencement of the Copyright Act 1956. Under the Act of 1911, passed before the invention of radio or television broadcasting, no copyright existed in a broadcast, and this was not modified until the Act of 1956. Until the 1950s not even the broadcaster had the technical means of recording or replaying a broadcast signal, so there had been no need to make provision for copyright protection. There is no copyright in a radio broadcast transmitted in the United Kingdom before 1 June 1957, the commencement date of the Copyright Act 1956. Prior to that Act there was no such thing as broadcast copyright in British law. The previous law was contained in the Copyright Act 1911, which was enacted before the invention of broadcasting. The 1956 Act is not retrospective in its effect. A radio broadcast made before 1 July 1957 (the commencement date of the 1956 Act) has no broadcast copyright: Schedule 7 paragraph 17, Copyright Act 1956; and Schedule 1 paragraph 9, Copyright Designs and Patents Act 1988. Under the terms of the 1956 Act, broadcast copyright expires 50 years from the end of the year in which it was transmitted: section 14(2), Copyright Act 1956. The 50 year copyright period cannot be extended for such broadcasts. Repeating a broadcast does not extend the period of copyright, whether the repeat is during or after the 50 year copyright period: section 14(3), Copyright Act 1956; and Schedule 1 paragraph 9, Copyright Designs and Patents Act 1988. Under the terms of the 1956 Act, copyright in a radio broadcast is not infringed by recording it for non-commercial use. The Act only prohibits recording a broadcast if done other than for private purposes, and it also prohibits causing a broadcast (if it is a television broadcast) to be seen in public by a paying audience: section 14(4), Copyright Act 1956. In respect of the first point, a recording is not made for a commercial purpose (i.e. a non-private purpose) unless it is offered for sale; so where a recording was made for home use, and is not subsequently offered for sale, at no stage is it used for a commercial purpose. In respect of the second point, where the broadcast is radio, not television, it does not fall within the terms of the restriction. The effect is that it is not an infringement of copyright to record or copy a broadcast made on or after 1 January 1959, unless it is done for commercial purposes (i.e. for payment). The copyright law of the United Kingdom was not amended further until 1988; and the 1988 Act has no application to a broadcast made before it came into force, on 1 August 1989: section 170 and Schedule 1 paragraph 5(1), Copyright Designs and Patents Act 1988. The 1988 Act is relevant to an earlier broadcast only in that it now expressly permits the making of a copy for private study: section 29, Copyright Designs and Patents Act 1988. This strengthens the previous provision, in section 14 of the 1956 Act, that permits a broadcast to be recorded for private purposes. Under the 1988 Act, copyright in a sound recording expires either (a) 50 years after the recording is made, or (b) if the recording is published during that period then 50 years from the publication, or (c) if during the initial 50 years the recording is played in public or communicated to the public then 50 years from that communication or playing to the public, provided the author of the broadcast is an EEA citizen. Otherwise, the duration under the laws of the country of which the author is a national applies, unless such a duration would be longer than offered in UK law, or would be contrary to treaty obligations of the UK in force on 29 October 1994. As of 1 November 2013, the copyright on sound recordings not yet in the public domain was extended from 50 to 70 years. If copyright in an unpublished work has expired, the first publisher of that work gets copyright protection, but for only a short period. Works that qualify for publication right include literary, dramatic, musical or artistic works, or a film. A publication right only exists if the publisher of the work is an EEA national and the work is first published in an EEA country. However, no publication right can be applied to works in which Parliamentary or Crown copyright existed previously. Publication right lasts for 25 years from first publication. On rare occasions, intellectual property rights are granted in perpetuity. When the current UK copyright law was debated in Parliament, former Prime Minister Lord Callaghan of Cardiff successfully proposed an amendment granting Great Ormond Street Hospital for Children a right to payments of royalties for performances, publications and broadcasts of Peter Pan in perpetuity, now enshrined in the Act. The King James Version of the Bible also has an unusual status in the UK. While it is in the public domain throughout most of the world, including the UK, printing it in the UK must still be authorised by the Crown or its agents. It is a common misconception that the requirement for authorisation is based on copyright. It is actually based on the royal prerogative, as exercised through letters patent, and is completely separate from the statutes governing copyright. UK copyright law has a set of exceptions to copyright, only some of which are referred to as fair dealing. Database right has a similar set of exceptions. Fair dealing is much more restricted than the American concept of fair use. It only applies in tightly defined situations, and outside those situations it is no defence at all against a lawsuit for copyright (or database right) infringement. s29. Research and Private Study— Fair dealing with any in-copyright work for the purpose of research for a non-commercial purpose, does not infringe any copyright in the work, provided it is accompanied by a sufficient acknowledgement of the source. This exception includes a right to analyse in-copyright work – including analysis using computers, a process known as content mining, or text mining / data mining. s30.—Criticism, review, quotation and news reporting Fair dealing with a work for the purpose of quotation, criticism or review, or news reporting does not infringe copyright in the work, provided it is accompanied by a sufficient acknowledgement, and provided the work has been made available to the public. s30A.—Caricature, parody or pastiche Fair dealing with a work for the purposes of caricature, parody or pastiche is not an infringement of copyright. s32.—Illustration for instruction Fair dealing with a work for the purposes of instruction does not infringe copyright as long as not for commercial purposes. Under the 1988 Act, it was originally the case that any research use was fair dealing. However, in 2003, the 1988 Act was amended to exclude commercial research from the definition of fair dealing because of the restrictions provided for by the Copyright Directive. Fair dealing for research should be accompanied by acknowledgement if this is possible. Fair dealing with the typographical arrangement of a work for the use in research or private study is also explicitly allowed. Also before the 2014 amendments to UK copyright law fair dealing for research only covered literary, dramatic, musical and artistic works. Database right fair dealing applies for the use of databases which have been made available to the public. If a person is a lawful user of a database, fair dealing is allowed for the extraction of substantial parts of a database, if the substantial part is extracted for teaching or research, not for commercial use, and provided the source of the material is acknowledged. Copyright in a database is not infringed if a person with the legal right to use part or all of a database does things necessary to use or access the contents of the database. Such permitted acts, which would otherwise infringe copyright, are allowed in spite of any licence agreement that purports to restrict such acts. Any terms of that type are null and void under UK law. Fair dealing for the purposes of private study or non-commercial research also does not infringe copyright in a database. With computer programs, fair dealing is explicitly excluded for decompilation or copying during decompilation. However, decompilation is allowed if it is to gain information vital to creating an independent program to interact with the decompiled program, provided that the information obtained by decompilation is not used for any other purpose. The observation of programs to determine their functions and the ideas underlying them is explicitly allowed while performing the normal functions of a program, such as loading and running it. As with database use, any terms which purport to restrict this sort of activity are null and void. Backup copies of computer programs are allowed if these are necessary for the lawful use of a computer program, and again restrictive licence terms are null and void. For a long time, the legal position of services such as Internet caches was dubious under British law, with such copies technically being infringing. However, an amendment explicitly allows temporary copies of literary works, other than when in computer programs and databases; of dramatic works; of artistic works; of musical works; of typographical arrangements; and of films or sound recordings – provided that such temporary copies are necessary for a technical process, are transient or incidental, and are made only for the purpose of transmitting a work across a network between third parties, or for a lawful use of the work. That amendment eliminates the awkward position of the cacheing services of Internet service providers. It is in a similar vein to an exception for the incidental inclusion of a copyright work in an artistic work, sound recording or film. However, deliberate inclusion of a copyright work negates the exception. Visually impaired and blind people were granted an exception with the passing of the Copyright (Visually Impaired Persons) Act 2002. Where a lawful copy of a literary, dramatic, musical or artistic work, or a published edition is possessed by a visually impaired person, and the lawful copy of the work is not accessible to the visually impaired person, copies of the work can be made such that the copies are accessible to the visually impaired person. However, the making of an accessible copy of a database is not allowed if copyright in a database will be infringed, and musical works cannot be performed to make them accessible. The accessible copy must be accompanied by an acknowledgement and must carry a statement that it was made under the authority of the Copyright (Visually Impaired Persons) Act 2002's amendments to the 1988 Act. Furthermore, if accessible copies are available commercially in a form suitable for the person whom the accessible copy would be made for, then the exception does not apply. In 2014 as a result of the Hargreaves Review the exceptions for visually impaired were updated to allow copying by people with any cognitive or physical disability. The final major exception commonly met is that of recording broadcasts for time shifting. This was brought about by the rise of the video recorder in the early 1980s. The exception only applies to copies made for private and domestic use, not to copies made for re-sale. Educational establishments, libraries and archives have many exceptions that are applicable only to them, which are aimed to supporting education and research. They include exceptions for illustration for teaching, preservation, as well as librarians being able to facilitate fair dealing for the users of a library who physically located elsewhere. In 2014 a new exception was introduced (Section 29A) to allow web mining, text mining and data mining. Because of the Copyright Directive however the use of this exception is limited to non-commercial research only. As a result of important changes to UK copyright law in 2014, that were the result of Hargreaves review certain research and public interest exceptions cannot be overridden by contractual terms and conditions. That is to say that irrespective of terms and conditions in contracts that may not allow certain activities, UK copyright law allows people to perform certain acts under copyright law. This became an important issue as much digital content comes with a licence. It also means that the role of government in passing copyright laws, on behalf of citizens, remains relevant as the activities allowed by statute cannot be disallowed by private contract. Example of exceptions that cannot be overridden by contractual terms and conditions include web mining, text mining and data mining, fair dealing for research, the quotation exception, the exceptions for parody, pastiche and caricature as well as exceptions for the disabled and that relate to libraries such as preservation, and librarians making fair dealing copies of in-copyright works for researchers. Database right is not a right which arises from the existence of copyright. It is entirely separate from copyright, and relates only to computer databases. Database right was created in 1996. Prior to that, under the 1988 Act, a computer database was treated as a literary work. In databases created before 27 March 1996 the copyright rules are the same as for any other literary work, and copyright lasts for the normal term of such a work. The effect of this is that copyright exists in the database if, and only if, the database's creation is the original work of the author. For databases created after 27 March 1996, in addition to the ordinary literary copyright, a separate database right also exists. Database right exists if a substantial amount of work was required by the maker of the database to obtain the data in the database, to verify the data, or to present the database's contents. Database right is independent of any copyright in the contents of the database. The maker of a database is the person who compiles the database. The maker of a database is the first owner of any database right arising. As with copyright, if an employee makes a database, then the employer is the first owner of any database right. The Crown owns a database right to databases compiled by an officer of the Crown in the course of his duties, and databases made under the direction of Parliament have the right assigned to the appropriate chamber of Parliament. If two or more people make a database, then the database right is jointly owned by those people. Database right does not exist unless the makers of the database are EEA nationals; are resident in an EEA state; are incorporated bodies, with their central operations or principal place of business in the EEA, and the body has a registered office in an EEA state, or the legal entity's operations are linked to the economy of an EEA state; or are unincorporated bodies or partnerships with their central operations or principal place of business in the EEA. Database right lasts for 15 years from the completion of the making of a database. If a database is made available to the public during that period, then the 15-year period lasts for 15 years from the time of making it available to the public. Any substantial change to a database causes the 15-year period to begin anew, as the changed database is regarded as effectively a fresh creation. Therefore, in theory, databases which regularly undergo substantial changes could enjoy (effectively) perpetual database right protection. If a database was created on or after 1 January 1983, and the database qualified for database right on 1 January 1998, that right lasts for 15 years from that date. Database right is infringed if most or all of a database is extracted and reused without the consent of the owner, or if small portions of a database are repeatedly extracted and reused without the consent of the owner. These classes of rights are not rights arising from the existence of copyright. They are entirely separate from copyright, but they relate to the same categories of works. Moral rights were introduced into UK law by the 1988 Act. They come from the alien civil law system, not from the common law tradition. The 1988 Act introduced moral rights for authors of literary, dramatic, musical and artistic works and the directors of films. The moral rights include the right to be identified as the author or director of a work as appropriate, the right to object to the derogatory treatment of a work and the right to object to false attribution of a work. The rights to object to derogatory treatment and not to be falsely attributed as author operate automatically. However, the right to be identified as the author or director of a work must be asserted. Works of joint authorship have separate moral rights for each author. Each author or director must separately assert the right to be identified as the author or director of a work. Unlike copyright, moral rights may not be assigned to another. However they can be waived. The right to object to false attribution of a work expires 20 years after a person's death. The rights to be identified as director or author, and to object to derogatory treatment, subsist for as long as the copyright term of the work. On 1 February 2006 moral rights were extended to cover performers in qualifying performances. Those rights are the right to be identified and the right to object to derogatory treatment of the performance when that performance is broadcast live or a recording of it is played in public. The right to be identified must be asserted, but the right to object to derogatory treatment is automatic. It is an infringement of the right to object to derogatory treatment of a performance to distribute or sell a sound recording that infringes the right to object to derogatory treatment of a performance. The moral rights of performers subsist for the same term as copyright in a sound recording and other performers' rights. Performers' moral rights do not apply to any performance before 1 February 2006. There was strong pressure from performers involved in films for the extension of moral rights to be made to them, but this was not done. The new moral rights will be implemented using secondary legislation under Section 2(2) of the European Communities Act 1972, and this could not have been done had performers in films been covered: to create that right would have required primary legislation. A person who commissions the making of photographs or films for private and domestic use has a right to privacy. That means that such photographs may not be issued to the public, shown in public, or communicated to the public without the permission of the person who commissioned the photograph or film. Photographs jointly commissioned entitle all the commissioners to a privacy right. The right to privacy subsists for as long as the copyright term of the work. Performance right originated in the 1988 Act. However, it has been greatly expanded by amendments to that Act. A performance is defined as a dramatic performance, a musical performance, a reading of a literary work or a variety act. The performers involved in a performance and any person who has recording rights with respect to a performance qualify for performance rights. However a performance must be a qualifying performance for the rights to exist. As with copyright, the criteria for qualification of a performance are based upon nationality of the people involved and the country where the performance takes place. In this context person means a legal entity, not necessarily an individual. Performers' rights exist if the performer is a qualified individual, or the performance takes place in a qualified country. The person with recording rights to the performance must have an exclusive contract to record the performance with a view to commercial exploitation of the recordings. The person who holds the contract must usually be a qualified person, and must be the beneficiary of the contract granting exclusive rights. If the person who holds the contract is not a qualified person, then the holder of the recording may license a qualifying person to making a recording of the performance with a view to commercial exploitation of the performance. In the latter case, the licensee is the holder of the recording rights. A qualifying country is defined as the United Kingdom, other states in the EEA, and other states that are defined as such by Order in Council. A qualifying individual is a citizen of a qualifying country. A qualifying person is either a qualified individual or a legal entity that is either formed under UK law or the law of another qualifying country; or has a place of business within the UK or another qualifying country, at which a substantial business activity takes place. The original rights granted to performers in the 1988 Act were threefold. Performers at a qualified performance have the right to demand consent for the recording of that performance and the broadcasting of that performance, except when the recording is for private and domestic use. They also have the right to stop the playing of a performance in public or the communication to the public of that performance. Anyone who imports a recording that has breached performers' rights, except when the importation is for private and domestic use, also further infringes performers' rights. Further rights granted since then include the right to object to copying of the performance, the issuing of copies to the public, rental or lending of copies to the public and making the performance available to the public by electronic transmission at a time and place of the choosing of the public. A right to equitable remuneration from the copyright owner when a commercially published sound recording is played in public or communicated to the public other than by the electronic means referred to earlier was also granted. Failure to agree the rate of remuneration can lead to the dispute being referred to the Copyright Tribunal. The rights granted to those with exclusive recording contracts have not been expanded since the commencement of the 1988 Act. However, they are relatively extensive. They include the right to object to the recording of a concert, the right to object to the use of a recording by its being shown in public or communicated to the public and the right to prevent imports into the United Kingdom of recordings where recording rights have been otherwise infringed. As with copyright, a set of exceptions similar to fair dealing exists for performers' rights and recording rights. Performers' and recording rights subsist for 50 years after a performance takes place, or, if a recording of the performance is released during that period for 50 years from that release. Subject to obligations that the United Kingdom was under on 29 October 1993, the duration of performance rights of non-EEA nationals is that of their home country, provided that such a duration does not exceed the duration in UK law. In the case of artistic works, on 14 February 2006 a new intellectual property right known as artist's resale right was created in the United Kingdom, by regulations made under the European Communities Act 1972. The right subsists for as long as copyright in an artistic work subsists and means that when a qualifying sale is made that the artist who created the work being sold is entitled to a royalty on the sale. The right is not assignable and it cannot be waived. The right can be transferred only intestate or via a will and becomes bona vacantia if no heirs exist. The right is only exercisable by a qualifying individual or a qualifying body. A qualifying individual is either an EEA national or a national of a country which is defined in Schedule 2 to the order creating the right. A qualifying body is a charity within the United Kingdom or a charity which is based with the EEA or a country defined in Schedule 2 to the order. The right only covers original works or those works where a limited number of copies have been made under the direction of the author. A sale is only regarded as a resale if the price of the work being sold is greater than 1,000 and either the seller or buyer is acting in the capacity of a professional art dealer. There is a saving provision which allows for works purchased directly from the author for under 10,000 within the last three years to not fall under the resale right. The seller is jointly liable to pay the royalty with a relevant person. The relevant person is defined as one or more of the agent of the seller, the agent of the buyer or the buyer where no agents exist. The relevant person must be a professional art dealer in order to be liable to pay the royalty. The holder of resale right on an artistic work has the right to obtain information to enable the payment of the royalty from any professional art dealers involved in the transaction when that request is made within three years of the transaction taking place. Where a sale takes place before 2010 only living authors are eligible for the royalty. Within the United Kingdom, the term of protection offered by Crown copyright, Parliamentary copyright, copyright of Acts and Measures, and copyright of international organisations is separate from that of ordinary copyright works. 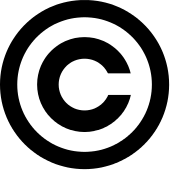 Government material qualifies for either Crown copyright or Parliamentary copyright, or protection as an Act or Measure. Prior to the 1988 Act, Crown copyright also covered what is now a separate Parliamentary copyright: such as bills in Parliament and the various devolved assemblies, and Acts and Measures. Qualification conditions for Crown copyright, for works made after the commencement of the 1988 Act, mean that a work qualifies for protection if it was made by an officer of the Crown in the course of the officer's duties. Qualification conditions under the 1956 Act and the 1911 Act were somewhat different; but works that were Crown copyright at the commencement of the 1988 Act remain protected until the expiry of their original copyright term. Crown copyright for artistic works is more complicated, and is entangled in special treatment given to engravings and photographs. For artistic works made after the commencement of the 1988 Act, the rule is the same as for other works: 50 years after publication or 125 years after creation. An engraving created before commencement and published after commencement is in copyright for 50 years after publication. Copyright of an engraving created before commencement and unpublished expires at the end of 2039. Photographs taken between 1 June 1957 (the commencement date of the 1956 Act) and commencement, and published, expires 50 years after publication. Photographs taken between 1 June 1957 and commencement, and unpublished, expires at the end of 2039. Photographs taken before 1 June 1957 expire 50 years after creation. Parliamentary copyright applies to works made under the direction or control of either House of Parliament. Acts and Measures are defined as: Acts of Parliament, Acts of the Scottish Parliament, Acts of the Northern Ireland Assembly, or Measures of the General Synod of the Church of England. Copyright in a bill in Parliament, the Scottish Parliament, the Welsh Assembly or the Northern Ireland Assembly subsists from the moment a bill is introduced into the legislature to the moment it either fails to pass or receives Royal Assent. The copyright of Acts and Measures subsists from Royal Assent until 50 years later. Parliamentary copyright of a literary, musical or dramatic work subsists until 50 years after the making of the work. Crown copyright of published literary, dramatic or musical works expires 50 years after publication. Crown copyright of unpublished works expires the later of 125 years from creation or 31 December 2039. The latter provision is a transitional measure from the 1988 Act because that Act abolished perpetual copyright protection for unpublished materials. It is 50 years after the commencement of the 1988 Act plus the usual for expiration extension to the end of the year. Works of certain international organisations also qualify for protection under separate provisions in the 1988 Act. Lists of the international organisations that qualify are promulgated by statutiry instrument. Organisations specified include the United Nations, Specialised Agencies of the United Nations, and the Organisation of American States. Copyright in the case of the works of international organisations lasts for 50 years from creation of the work. Evidentiary issues may arise if the person who authored a work has only his word to prove that the work is original and is his own work. The author of an unpublished manuscript or little-known publication, that is remarkably similar to a popular novel, will have an uphill battle convincing a court that the popular novel infringes the copyright in his obscure work. Taking some precautionary steps might help to establish independent creation and authorship. A common practice to obtain evidence in favour of authorship is to place the copyright material in an envelope or package together with a document signed by several people stating that they have examined the work prior to it being sealed and that in their opinion it is original. Once this is done the package is mailed to the owner (or, more usefully, his solicitor) by recorded delivery, which helps to establish when the work was created, who the originator of the work is, and that there are signatory validators prepared to state that it is original. Once this process is complete the package and contents might be usable in a court of law as evidence of date of creation (and so priority), if the envelope had been in the custody of a solicitor throughout. However, the process is not a reliable one, and cannot create irrefutable evidence in a legal dispute, because of the simplicity of sealing the envelope at a date later than is recorded, or breaking the seal of the envelope and replacing the contents. A 2006 survey carried out for the National Consumer Council indicated that over half of British adults infringe copyright law by copying music CDs, with 59% stating a belief that copying for personal use is legal. In 2006 The Institute for Public Policy Research called for a "public right to copy". In December 2006 Gowers Review of Intellectual Property was published, and the government began a public consultation period on proposals to legalise personal copying. In January 2008 the government proposed changes to copyright law that would legalise format shifting for personal use under some limited circumstances. Similarly to the Gowers Review, in May 2011 was published the Hargreaves Review of Intellectual Property and Growth. On 1 June 2014 three new statutory instruments came into force in the UK, amending the Copyright, Designs and Patents Act 1988. Implementing EU Directive 2001/29, these statutory instruments updated the exceptions and limitations to the rights of performers and copyright around Research, Education, Libraries and Archives; Disability; and Public Administration. The updated Research, Education, Libraries and Archives regulation extends the copyright exception for students and libraries from just literary and artistic works to all forms of copyright works. Fair dealing still applies. For works that need to be preserved, cultural works can be digitised by libraries, archives or museums for users to view at dedicated terminals for private study or personal research. Text and data-mining will also be permitted for non-commercial research purposes, where the researcher has the right to access the material. The existing exception for fair dealing for instruction purposes is extended to include copying of small amounts of material using modern technology, rather than just by hand. The revision also precludes contracts from overriding statutory rights: "(4) To the extent that a term of a contract purports to prevent or restrict the doing of any act which, by virtue of this paragraph, would not infringe any right conferred by this Chapter, that term is unenforceable." The updated Disability regulation extends an existing exception for visually impaired individuals to create works in an accessible format if none are available, to all individuals with a relevant impairment. The Public Administration regulation allows public information submitted from third parties to be published online for the first time. Two additional regulations, announced in March 2014, were delayed for consideration by the Joint Committee on Statutory Instruments. These are around personal copying for private use and quotation and parody and came into force on 1 October 2014. ↑ See generally, Lionel Bently, Brad Sherman, Intellectual Property Law (4th ed, 2014); Tanya Aplin, Jennifer Davis, Intellectual Property Law: Text, Cases and Materials (2nd ed, 2013). ↑ See, e.g., Jeffery's v Boosey (1855) 4 HLC 815; Nova Productions v Mazooma Games  EWCA Civ 219. ↑ Ladbroke v William Hill  1 WLR 273, 277–8; 292–3. ↑ Copyright, Designs and Patents Act 1988 s 104. ↑ Copyright term for sound recordings increases from 50 to 70 years today. MusicWeek, 1 November 2013. 1 2 UK Parliament. Copyright, Designs and Patents Act as amended (see also enacted form), from legislation.gov.uk. ↑ "Changes to copyright law". UK Government – GOV.UK. Government of the United Kingdom. Retrieved 15 November 2014. ↑ "Shakeup of 'absurd' copyright law demanded". ZDNet reporting the National Consumer Council. 11 May 2006. ↑ "Copying own CDs 'should be legal'". BBC News Online. 29 October 2006. ↑ "Copying CDs could be made legal". BBC News Online. 8 January 2008. ↑ Intellectual Property Office; Viscount Younger of Leckie. "Changes to copyright law". www.gov.uk. IPO. Retrieved 30 July 2014. ↑ Intellectual Property Office. "EXPLANATORY MEMORANDUM TO THE COPYRIGHT AND RIGHTS IN PERFORMANCES (RESEARCH, EDUCATION, LIBRARIES AND ARCHIVES) REGULATIONS 2014, 2014 No. 1372 THE COPYRIGHT AND RIGHTS IN PERFORMANCES (DISABILITY) REGULATIONS 2014 2014 No. 1384 THE COPYRIGHT (PUBLIC ADMINISTRATION) REGULATIONS 2014 2014 No. 1385" (PDF). www.gov.uk. IPO. Retrieved 30 July 2014. ↑ Lai, Laurence. "Private Copying and Parody Exceptions – What's Changed?". ipcopy. wordpress.com. Retrieved 30 July 2014. UK Copyright Aid – Copyright information and advice site.